This fitness band greets you with a personalized daily goal, tracks your progress and reminds you when it's time to move. It learns your current activity level and then assigns an attainable daily goal. At Garmin Connect, you can join online challenges with other users or start your own competition with friends to compete for virtual badges and bragging rights. Set the sleep mode when you go to bed, and it will monitor your rest to see your total sleep hours as well as periods of movement and restful sleep. Use the heart rate monitor with the fitness band to record your heart rate and zone data. Also, get more accurate calorie burn information for any fitness activity, such as a run or a cardio class at the gym. 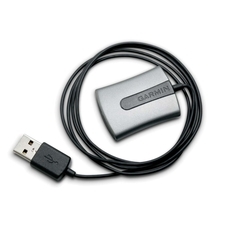 With the USB ANT stick, you can transfer your workout data seamlessly to Garmin's web-based community or training center. 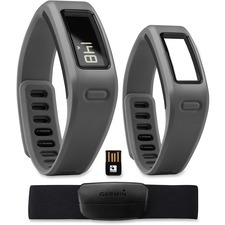 This fitness band offers a one-year battery life and water-resistant technology for outlasting performance. 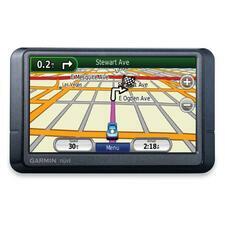 Navigate without breaking your budget with nüvi 200 Automobile Navigator. This affordable entry-level Personal Travel Assistant comes with preloaded maps for the continental U.S., Hawaii and Puerto Rico or regional coverage in other areas. For even more mapping options, Like all nuvi 200-series members, the 200 features an easy-to-use colorful touchscreen and ultra-slim design, perfect for everyday navigation. nüvi 200 Automobile Navigator comes preloaded with City Navigator NT map data for the continental U.S., Hawaii and Puerto Rico. Simply touch the color sunlight-readable screen to enter a destination, and nüvi takes you there with 2D or 3D maps and turn-by-turn voice directions. In addition, nüvi 200 accepts custom points of interest (POIs) such as school zones and safety cameras and lets you set proximity alerts to warn you of upcoming POIs. Go beyond navigation navigation is just the beginning. nüvi 200 Automobile Navigator includes many travel tools including JPEG picture viewer, world travel clock with time zones, currency converter, measurement converter, calculator and more. It also comes with Garmin Lock, an anti-theft feature, and configurable vehicle icons that let you select car-shaped graphics to show your location on the map. Optional plug-in SD cards for travel guides and a savings program provide detailed data for attractions and information on nearby merchants offering discounts, so you can customize nüvi for your travel needs. 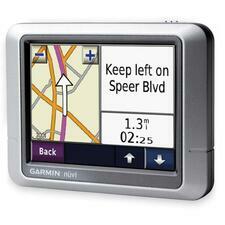 n?vi 265W Automobile Navigator with Bluetooth offers a wide screen to help you navigate to your location. Comes ready to go right out of the box with preloaded City Navigator NT street maps, including a points of interest (POIs) database with hotels, restaurants, fuel, ATMs and more. Announces the name of exits and streets so you never have to take your eyes off the road. Simply touch the color screen to enter a destination, and nuvi takes you there with 2D or 3D maps and turn-by-turn voice directions. nuvi 265W accepts custom points of interest (POIs), such as school zones and safety cameras, and lets you set proximity alerts to warn you of upcoming POIs. 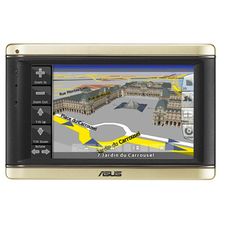 Catering to users who require a top-notch PND for their GPS navigation needs, ASUS, producer of high quality handhelds, has released the ASUS R700T Automobile Navigator. This handy gadget is not only convenient for inputting routes via a user-friendly interface; the realistic 3D Maps provide a 3D panoramic view that makes it simple for users to navigate complicated and multi-level junctions. The R700T Automobile Navigator also features a vast array of applications that include bluetooth handsfree functions to provide a smoother, safer drive. The new 3D map function is a welcome change for drivers. With a panoramic view of the navigation route, full 3D representations realistically display the surroundings with geographical illustrations and detailed road information. The R700T also contains a built-in auto light sensor that automatically optimizes the backlighting of the LCD panel. The built-in TMC (Traffic Message Channel) provides real-time information on traffic conditions and allows users to be notified of accidents, road diversions, traffic jams, traffic light breakdowns, parking lot vacancies and so on. Just like a coach, this fitness watch provides the motivating feedback you need to guide your training by giving constant feedback and recording all of your stats. Get post-run encouragement from friends and fans with connected features like real-time live tracking and social media sharing via the Garmin Connect mobile app. 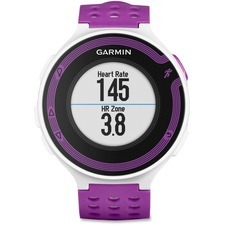 This fitness watch has a high-resolution color display that makes it easy to interpret your data at a glance. With vibration and audible alerts, you can customize it to provide both or just one type of prompt. When your run is saved in your watch's history, a post-run summary appears so you can see how you did. Plus, it notices if you hit any personal records, such as your fastest mile, 5K, 10K, half or full marathon, or your longest run to date. Use the included heart rate monitor to wirelessly transmit your heart rate to your compatible device for instant feedback on how hard you're working. Traveling with your laptop on business or vacation? The GPS 18 is a simple, convenient, inexpensive way to turn your PC laptop into a personal navigator to get you where you're going.